Some people tell you to make your subject lines so compelling that the person reading them will be desperate to open the email. 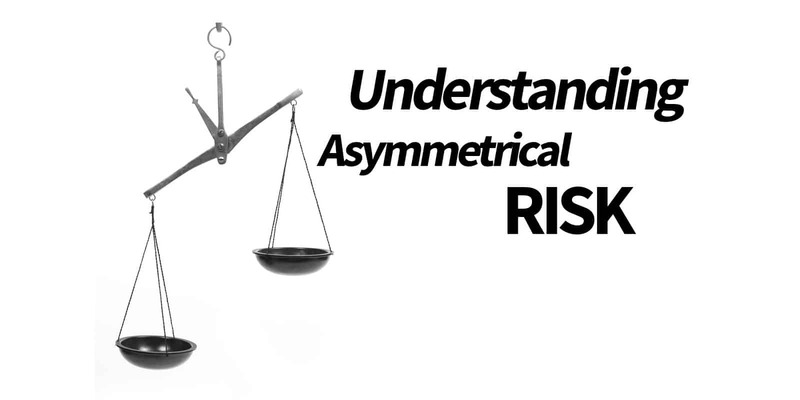 I think it is safe to say that, “Understanding Asymmetrical Risk” might be one of the most boring subject lines I’ve ever come up with. Today’s email fairly lengthy, it’s absolutely going to be “intellectual” in nature and the “what’s in it for me” moments won’t come until the very end. I’ve just read a new book recently by Nassim Nicholas Taleb called, “Skin in the Game” which talks about the asymmetries in life. One early example in the book that Taleb uses is with Citibank’s former Chairman, Bob Rubin. Rubin was an “insider”, he was the former Treasury Secretary for Bill Clinton and was well connected in Washington. He knew that Citigroup was considered “too big to fail” so as Chairman, he didn’t ensure that the investment banking division had appropriate risk mitigation processes in place because he understood that the government would bail them out through the Federal Reserve. Why did Rubin know this? Well, he was Treasury Secretary when Glass-Steagall was repealed allowing retail banks to be investment banks, so he understood that if Citigroup failed because of the subprime exposure (or any of their risky investment practices) that the Federal Government would have to step in to make sure that retail bank customers didn’t lose their life savings. This meant that Citigroup had an asymmetrical risk – they were able to gamble because they had certainty around the outcome, so the rewards were high and the downside was marginal at best. Taleb also talks about how in Sharia and Talmudic law and under the Code of Hammurabi, it was considered illegal to enter a transaction or behave in a way with another party where the level of “uncertainty” about the outcome was not equal. In Modern Western Society, we tend to view this through the prism of transparency and have laws and rules around conflict of interest and insider information. We look at this like fairness. Now, I’m going to shift gears hard and talk about Facebook. They’re having a bad week – their market cap is down $50B because of the whole Cambridge Analytica situation and privacy. Why are people so outraged now? Well, it’s dawned on people that Facebook had an asymmetrical risk in their advantage and have been exploiting it for years for their financial benefit. Facebook allows third-party developers access to your Facebook data (things such as what you like, demographic information and even stuff like your email address) if you authorize that third party to have access. Some people have been complaining about this for a few years claiming that Facebook had the capacity and capability to “unmask” people while at the same time were making this readily available to external parties without clearly defining for users what the ramifications were. But there’s one other little chestnut that seems to have become more obvious to the wider world now… Facebook allows third-parties to harvest information about your “friends” on Facebook as well. What that means is, if you’re my “friend” and I give an app access to my “friends”, then they can get the data on your profile. Yep, I can give permission for a third-party to access your data too. Yeah, that’s not really cool. I’d say their use of Facebook information and targeting ads certainly helped them, but there’s some uncertainty as to whether the Trump campaign used the Cambridge Analytica (CA) data during the Presidential campaign. They said they didn’t because the RNC had better, more up to date data that they used instead, which actually makes alot of sense when you consider the 50 million records of data that CA had was originally from prior to 2015. But here’s something wild… In 2012, the Obama Campaign created an “Obama 2012” app that 1m people downloaded and registered. That app gave them access to the user’s FB profile information including, you guessed it, their friends list. In 2012, it was said each person on FB has 190 friends, so that gave the Obama Campaign access to millions and millions of people’s data, certainly more than 50m when you remove duplicate friends and foreign friends. Keep that “foreign friends” in mind for later. The Obama Campaign did nothing wrong, they adhered to Facebook’s Terms of Service and used the tools at their disposal well. In fact, the media portrayed them as geniuses of social media for this. The Guardian ran a story in February 2012 raving about how smart the Obama Campaign was for using this data. And let’s not mix words, the Obama Campaign was super smart. In fact, Facebook thought so too. They sent engineers to help the Obama Campaign maximise their usage of that data, the same way they helped the Trump Campaign during the election in 2016. This created asymmetry for Facebook. If the President of the United States was using demographic data harvested this way AND paying Facebook to run ads using that data, what do you think the likelihood would be of the political machine going after Facebook for this obviously “grey” area of privacy? And that’s what actually happened – Facebook has made billions of dollars selling your data to anyone and everyone. Even more disturbing, they’ve been selling your data without your DIRECT consent. How do they get around this? By saying that your privacy settings allow you to prevent that from happening. Except the privacy settings in Facebook are obfuscated by incredible levels of complexity that the average person who just wants their in-laws to see pictures of the grandkids and share cat memes can’t possibly understand. When you restrict your information, Facebook presents it in a way that tells you what others now won’t be able to see which has an inherently negative connotation – what if my mother-in-law can’t see the pictures I posted because of this change? All the while, Facebook are telling you that they value your privacy. Facebook own the media. Not in the traditional sense that they have a controlling stake, they just “own” them because the media requires Facebook’s distribution to stay relevant. Yesterday, the New York Times ran a story saying that Facebook COO, Sheryl Sandberg was annoyed and frustrated by the Head of Security at Facebook, Alex Stamos’ insistence that the company come clean about Russian efforts to influence the 2016 election using Facebook. Stamos has been “moved to other duties” now and that was the context of the comment about Sandberg. Less than 24 hours later, the NYT edited the article to remove the sentence with the reference to Sandberg. When the Observer first started talking about breaking the story about Cambridge Analytica last week, Facebook’s lawyers “reserved their rights” to sue the Observer. Facebook competes with the traditional mainstream media for ad dollars and now has gained control over their distribution to a large part. The Sandberg reference being removed looks and smells a lot like an anti-trust violation – in fact, some people in Washington are talking about Facebook maybe being investigated for Sherman Act violations. Facebook is losing its asymmetrical advantage because the genie is out of the bottle and both sides of politics in the US have been exposed. Canada, the UK, the EU and Australia have all said they are going to be investigating Facebook now for privacy violations and issues. Remember when I mentioned “foreign friends” up above, this is what I was talking about. Surely though, you don’t think these governments suddenly have become interested in Facebook now for privacy? Like somehow they didn’t know what was going on? This comes back to asymmetrical risk again and how this time it has worked against Facebook… and it all boils down to tax. Facebook has used the vagaries of international tax laws to skirt paying taxes all over the world. In Australia for example, the Facebook VP of Treasury told a parliamentary committee in 2017 that Facebook “didn’t track” which ads were bought in Australia and therefore couldn’t report on it. If you believe that, I have a giant rock in the middle of Australia that I can sell you for a few shillings. In fact, Facebook went further recently and said the ONLY revenue they book to their Australian subsidiary is for clients who literally turn up to Facebook’s offices in person and meet with them. It’s not just Australia, like I said, the EU, the UK and Canada have been gunning for Facebook over the way they attribute revenue and don’t pay taxes. This put Facebook on the radar for these countries, it created an asymmetrical situation – Facebook had more information than the governments of these countries and were using it for their own financial benefit. But now those countries have grounds to demand Facebook make that data available because, well, “privacy”. These countries have a legitimate concern that Facebook has broken their domestic privacy laws in a significant way and it is in the “public interest” to investigate thoroughly. And what do you think that means? These governments will dig until they know EVERYTHING they need to know about Facebook’s advertising business so that they can craft laws to tax them… Oh, and there will be some regulations around privacy too. The asymmetry shifted and it is Facebook’s own fault, they have no leverage. You see, a company like Google, Amazon or Apple, they have some leverage – they have jobs and assets in these places. Google and Amazon have data centres in Australia, hundreds of “good jobs” and Apple has a chain or retail outlets employing literally thousands of people. That’s leverage. No politician wants to “cost jobs” in high tech companies. This gives these companies a “shield” they can use to fend off government intervention. Google even went one step further, they voluntarily moved their AdWords revenue onshore to Australia, started collecting GST and remitting it to the government well in advance of it becoming a legal requirement. Amazon opened up their warehouse in Australia, have said they are investing hundreds of millions and have data centres here. Facebook? Their VP of Treasury sat in front of the Australian government and basically said they weren’t smart enough (or couldn’t be bothered) tracking how much money Australians spend on ads. That wasn’t smart and bureaucrats have long memories. Now, Facebook finds itself with the governments around the world holding the cards and Facebook in a weakened position. The asymmetry has shifted. They are in the inferior position, they don’t know what the outcome is going to be. They are entirely exposed. 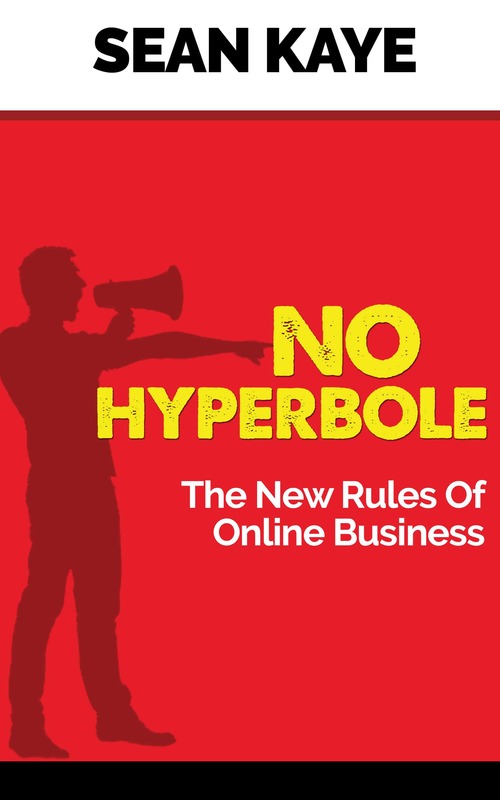 So, what the heck does this have to do with you and your business? You need to be careful about asymmetrical relationships. They’re dangerous and they have a way of imploding spectacularly. Our natural predilection is to try and stack the deck as much as we can in our own favour, but there’s a line that you need to be careful of. For me, transparency, conflict of interest and inside information are great examples of things that you need to be acutely aware of. If you are entering a business relationship with another company or a customer, it behoves you to try and ensure the relationship is “fair”. You absolutely want to get the best deal possible for yourself, but you want to do it in a way that’s fair. Equally, when you find those asymmetrical situations being used against you, I’d suggest 100% that you terminate those relationships. If someone is prepared to withhold information from you to extract the best deal possible for themselves at your expense, then they’re someone you don’t want to do business with because they’re actively trying to exploit you. This has been a long email and pretty high level, but hopefully, you can see the threads about looking several steps ahead and now just trying to gain leverage on people, but establishing win-win situations.